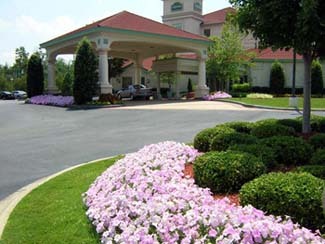 NatureScape, Inc. has over 20 years of experience working with commercial property managers in Central Alabama. We understand the demands placed on property managers to meet budget forecasts, to pass corporate landscape inspections, to satisfy tenant requests and to meet security demands. NatureScape can help property managers beautify their landscapes with minimal time investment and maximum budget control. We will monitor the health of your landscape, provide you with timely reports, and offer ideas about how you can enhance your current landscape both in the short and long term. View our portfolio to see more examples.